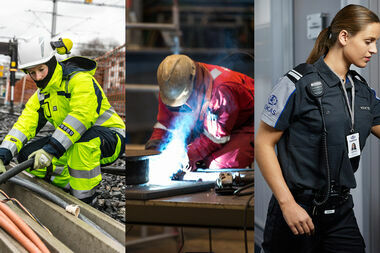 Wenaas has worked with SINTEF, Statoil and Eni Norge to develop better workwear and personal protective equipment for petroleum industry workers posted in the northernmost locations. Earlier workwear solutions were unable to meet the demands for maintaining workers’ performance in extremely cold conditions – their heads and hands were particularly vulnerable – so extra focus has been devoted to the protective features of different types of helmet and work gloves. The result of this project is the Project Arctic Protection collection. WORK EFFECTIVELY FOR TWICE AS LONG. Test subjects working under extreme conditions both in laboratories and out on drilling rigs play a key role in this research project and have provided invaluable input to the process of developing new material combinations. The project has resulted in a collection that halves the volume of clothing necessary while doubling the time people can continue working in extreme weather conditions, without compromising on comfort or safety. 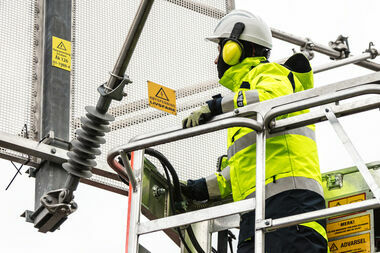 The final results have been documented by tests carried out by the SINTEF research organisation. 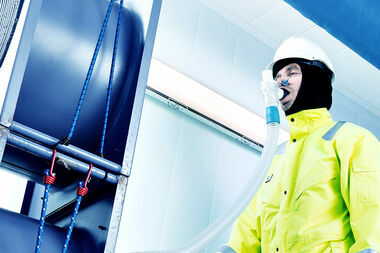 PROJECT ARCTIC PROTECTION – comfort and safety in extreme conditions. Pyrad Arctic Protection work clothes are thin, lightweight garments that keep out both water and the cold. The insulation properties of the new garments mean that users need wear fewer intermediate items, which naturally improves freedom of movement, making it easier to perform the usual work assignments – without compromising on comfort. Pyrad Arctic Protection also meets all requirements with regard to fire-retardant and anti-static properties, and the clothes are also designed to facilitate the use of communication equipment. Pyrad Arctic Protection workwear is a collection consisting of jackets, trousers and coveralls made of Gore-Tex Pyrad material. The new garments allow users to work for twice as long, and the material is 20% more tear-proof than earlier collections. The clothing is permanently waterproof and breathable and features the electric arc-approved shell coating with the lowest weight on the market today. 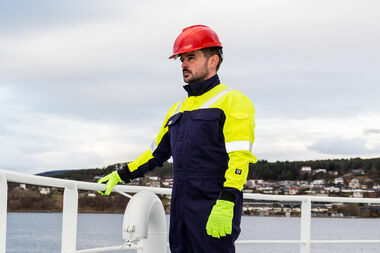 Ever since the start of the boom in the Norwegian oil and gas sector, Wenaas has been helping protect workers on the Norwegian continental shelf, with clothing and protective equipment designed for the tasks they perform.